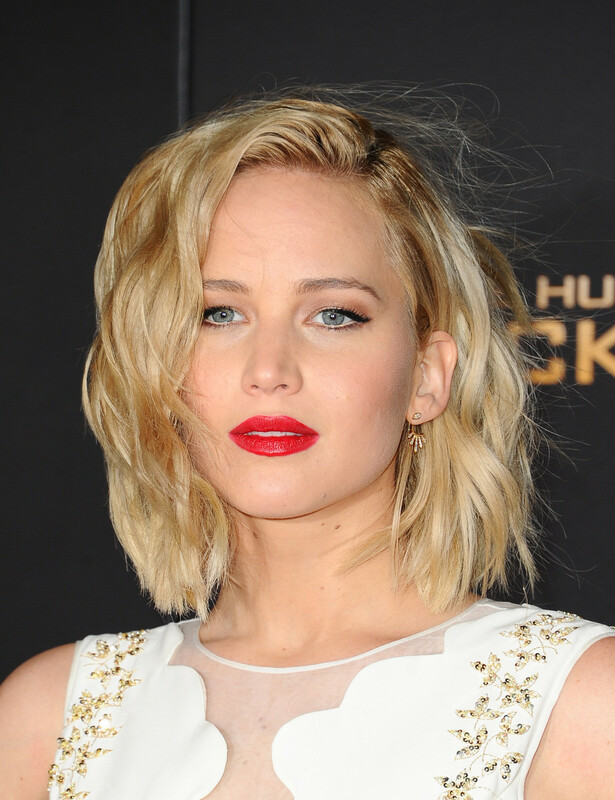 There are so many looks I love in this week&apos;s red carpet beauty pics! 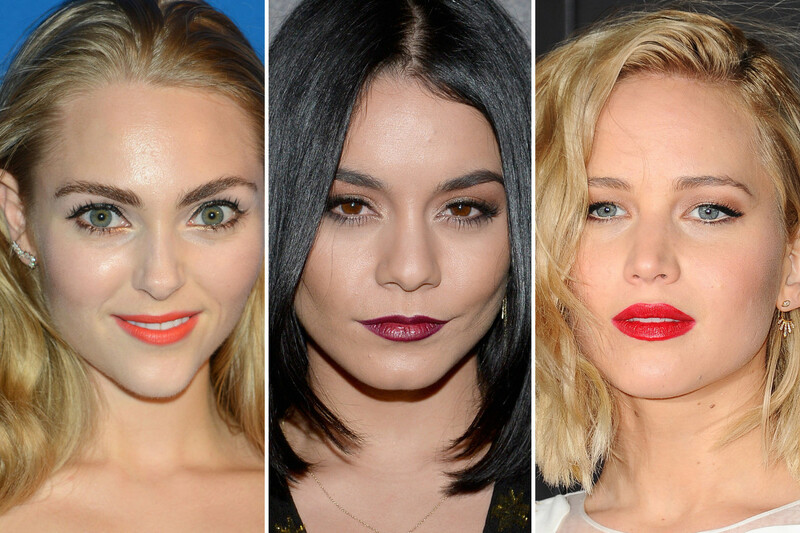 My top two are Vanessa Hudgens&apos; glorious straight lob with deep berry lips, and AnnaSophia Robb&apos;s gold liner with red lipstick... but there&apos;s lots more great stuff to see. 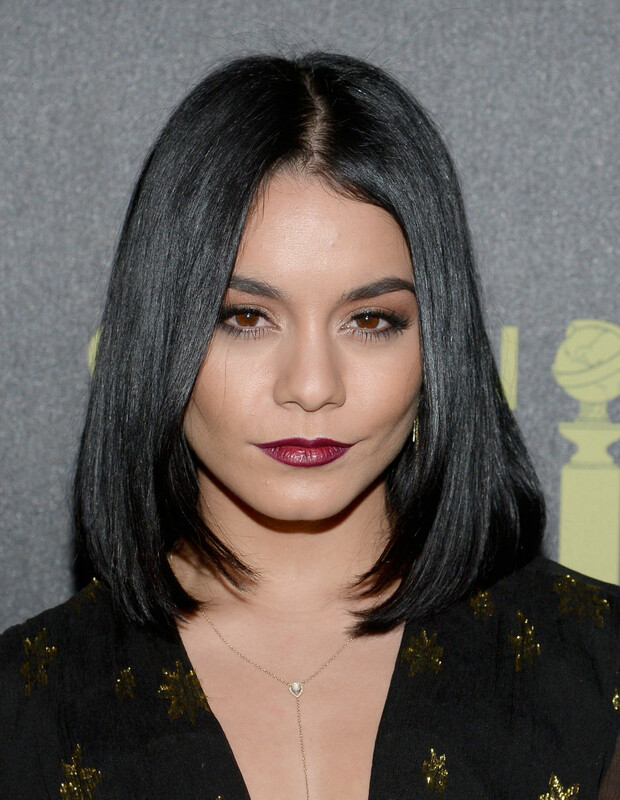 Vanessa Hudgens at the 2015 HFPA and InStyle Golden Globes celebration. 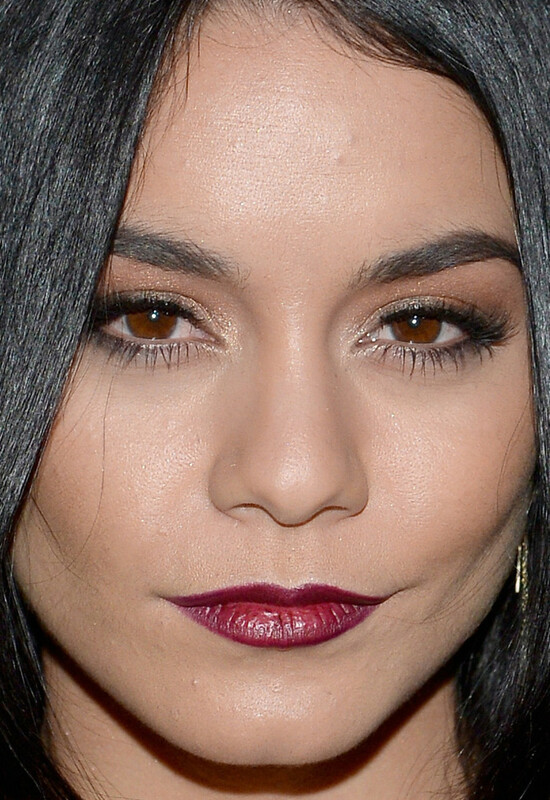 Close-up of Vanessa Hudgens at the 2015 HFPA and InStyle Golden Globes celebration. YES! If you&apos;ve been reading these celeb round-ups for a while, then you know I&apos;ve been quietly praising Vanessa&apos;s beauty progression over the past year or so. Finally, she has reached the pinnacle with this stunning hair and makeup. Compared to her old wavy extensions, this centre-parted straight lob is so chic. And the subtle smoky-shimmery eyes, soft lashes and rich red-violet lips are très sophisticated. 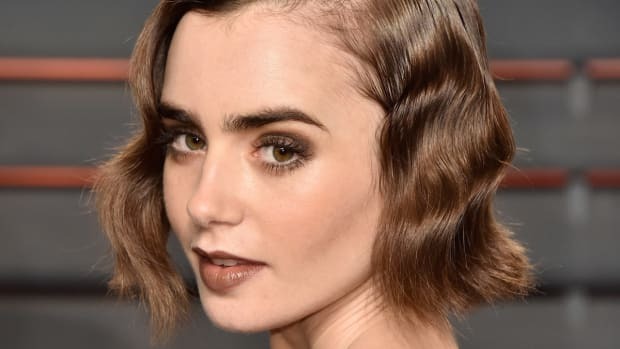 Notice how her arched brows pull everything together—and their shape is not too precise. AnnaSophia Robb at the 2015 American Museum of Natural History Gala. Close-up of AnnaSophia Robb at the 2015 American Museum of Natural History Gala. Note to self: Try pairing gold eyeliner with a stained orangey-red mouth for the holidays. Doesn&apos;t it look incredible on AnnaSophia? Of course, so does her flawless skin, seamless blush and amazing full brows. Her eyes are huge to start with, but fluffy lashes and black liquid liner along the top lash line help them pop. Tucking her hair behind her ears with some sleekness at the roots shows off her face, and the strapless dress. Jennifer Lawrence at the 2015 Los Angeles premiere of &apos;The Hunger Games: Mockingjay Part 2&apos;. 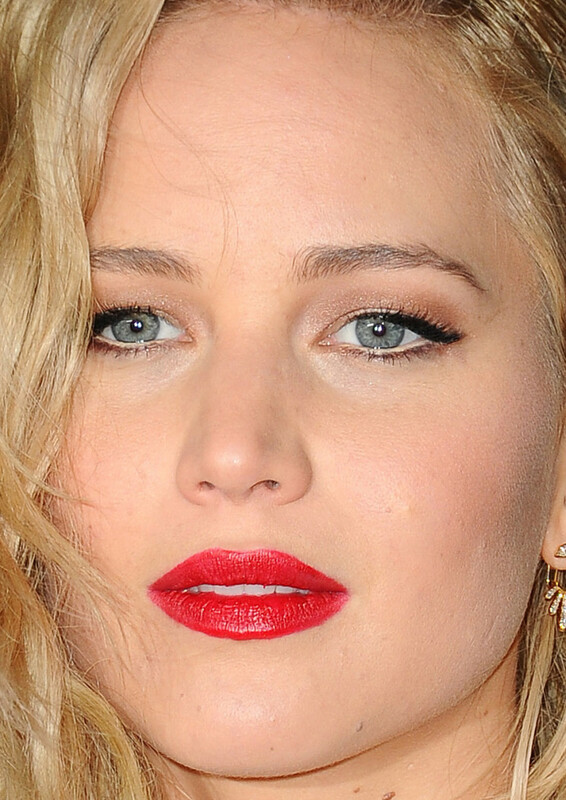 Close-up of Jennifer Lawrence at the 2015 Los Angeles premiere of &apos;The Hunger Games: Mockingjay Part 2&apos;. 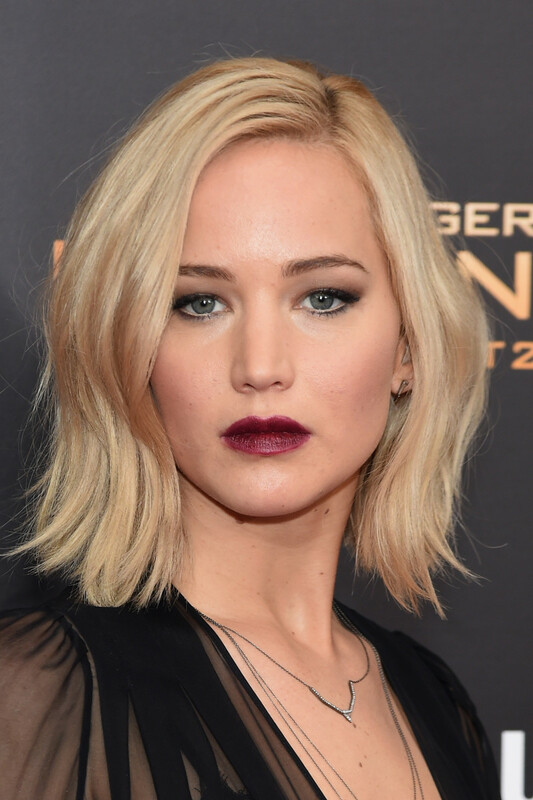 Jennifer Lawrence at the 2015 New York premiere of &apos;The Hunger Games: Mockingjay Part 2&apos;. 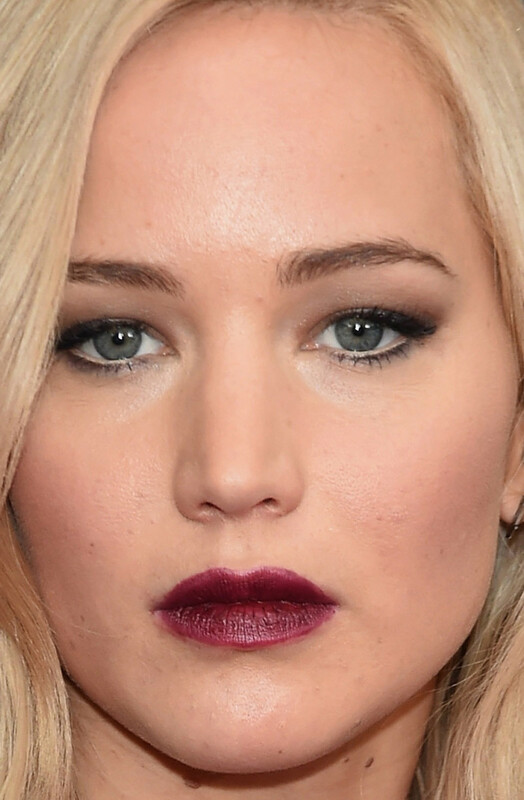 Close-up of Jennifer Lawrence at the 2015 New York premiere of &apos;The Hunger Games: Mockingjay Part 2&apos;. Vampy! This is something new for Jen, and I love it. Her lips are an oxblood colour, with a stained texture and a much more rounded shape. Like I mentioned here, little tweaks like that to your lip shape can really change your whole look. The contrast of the dark lip with her blonde hair is also great. Her eyelids are smokier, in a soft grey-brown that is diffused perfectly as it goes up to her brows (which are darker as well). Again, the white liner I do not get. With so much going on in the makeup, it was a good call to keep her hair loose and simple. 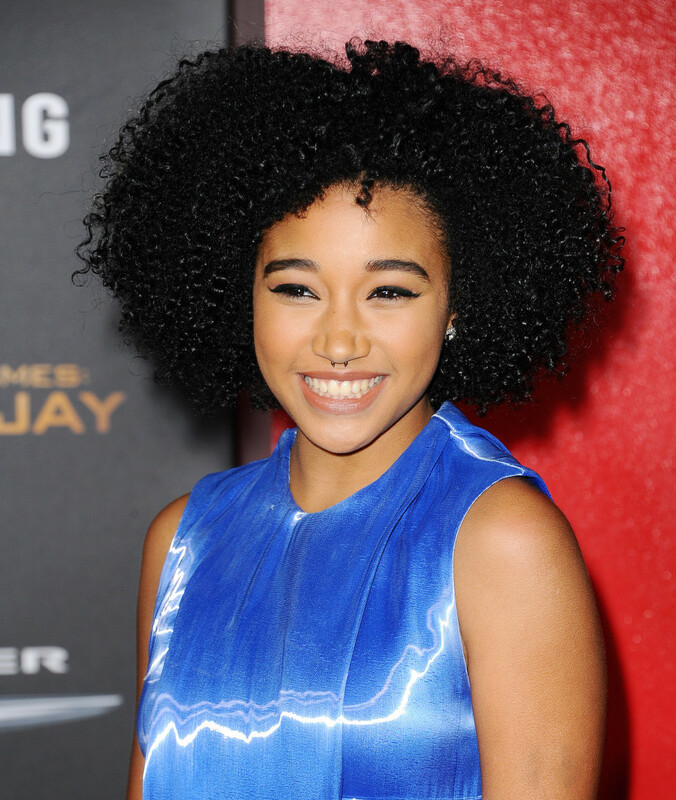 Amandla Stenberg at the 2015 Los Angeles premiere of &apos;The Hunger Games: Mockingjay Part 2&apos;. Close-up of Amandla Stenberg at the 2015 Los Angeles premiere of &apos;The Hunger Games: Mockingjay Part 2&apos;. Last time we saw Amandla, she was rocking grey hair like a boss. Now she&apos;s back to black, and her curls are in their natural tighter texture. But there&apos;s still that hint of edge with the septum ring. She wears it well, especially because her makeup is so clean. Just black cat eyes, darkened brows and a sheer peachy hue on lips and cheeks. Sarah Hyland at the 2015 HFPA and InStyle Golden Globes celebration. Close-up of Sarah Hyland at the 2015 HFPA and InStyle Golden Globes celebration. Ah, success! Finally, Sarah has appeared on the red carpet sans heavy contouring, shimmer and fake lashes. Doesn&apos;t she look so much fresher, and prettier? All that makeup was totally covering up her beauty. And the too-light blonde highlights, for that matter—you can&apos;t see them when her hair is back like this, and it&apos;s better. I love the dramatic cat eyes paired with soft pink tones everywhere else, and we can actually see freckles on her nose. Will wonders never cease! Dakota Johnson at the 2015 Michael Kors Tokyo flagship store opening. Close-up of Dakota Johnson at the 2015 Michael Kors Tokyo flagship store opening. Speaking of fresh, that&apos;s one thing I appreciate about Dakota—she has not once appeared on the red carpet with bad, heavy makeup. (Obviously, it&apos;s because she&apos;s the child of Hollywood royalty, so had all the best makeup artist hook-ups from the start.) She looks naturally pretty in this berry gloss, mascara and loose updo. Her skin brings the "wow" factor—it looks insanely perfect! Cate Blanchett at the 2015 New York premiere of &apos;Carol&apos;. 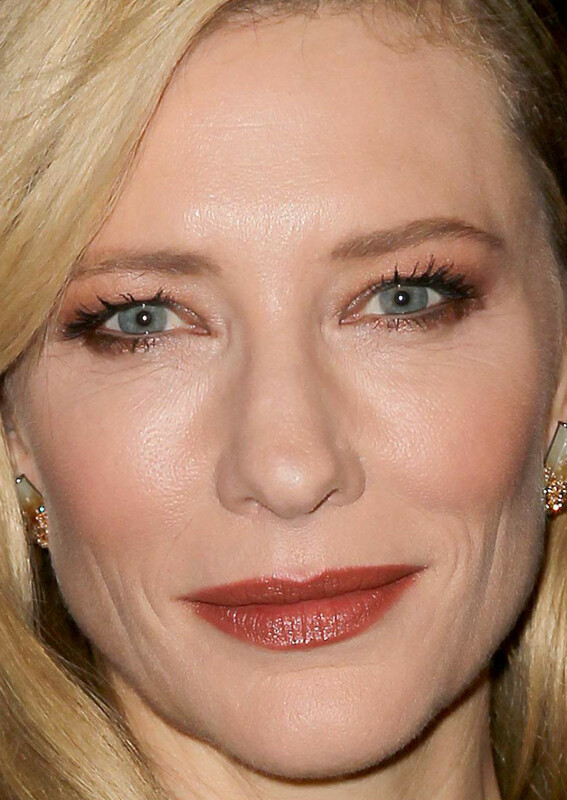 Close-up of Cate Blanchett at the 2015 New York premiere of &apos;Carol&apos;. You&apos;ve got to hand it to Cate. She never fails to get creative with her makeup looks, which is very rare for celebs her age (46). This time, it&apos;s all about a brick red lipstick with golden undertones, and matching coppery shades on the eyes and cheeks. I&apos;d have gone softer on the cheeks, but overall it is surprisingly gorgeous on her. (Especially because I always figured her colouring was more "summer." Just goes to show you, you CAN break the colour rules.) She is also wearing my favourite universally flattering hairstyle: a sweeping side bang. Olivia Wilde at the Revlon Love is On Million Dollar Challenge celebration in 2015. Close-up of Olivia Wilde at the Revlon Love is On Million Dollar Challenge celebration in 2015. It&apos;s so great we&apos;re seeing more of Olivia lately! I do love a red lip on her. She paired it with subtle shimmering pink shadow on her lids, and just lashes—no harsh dark liner at all. This is a very modern makeup to do with reds, I believe. Something to consider as we head into holiday party season, before you reach for your usual grey and black shadows/liners! I also love the sleekness of her hair paired with luminous skin and the high neckline. Katie Holmes at WWD and Variety&apos;s 2015 Stylemakers Event. Close-up of Katie Holmes at WWD and Variety&apos;s 2015 Stylemakers Event. Katie looks so young here! I think it&apos;s that her hair is long, straight and shiny again, just like in the &apos;Dawson&apos;s Creek&apos; years. When it&apos;s big and wavy, and her makeup is too bright/smoky, it ages her a bit. I just love the heavy black tightlining (another note to self: gotta try that!). With the peachy blush and creamy pink lipstick, she looks adorable. 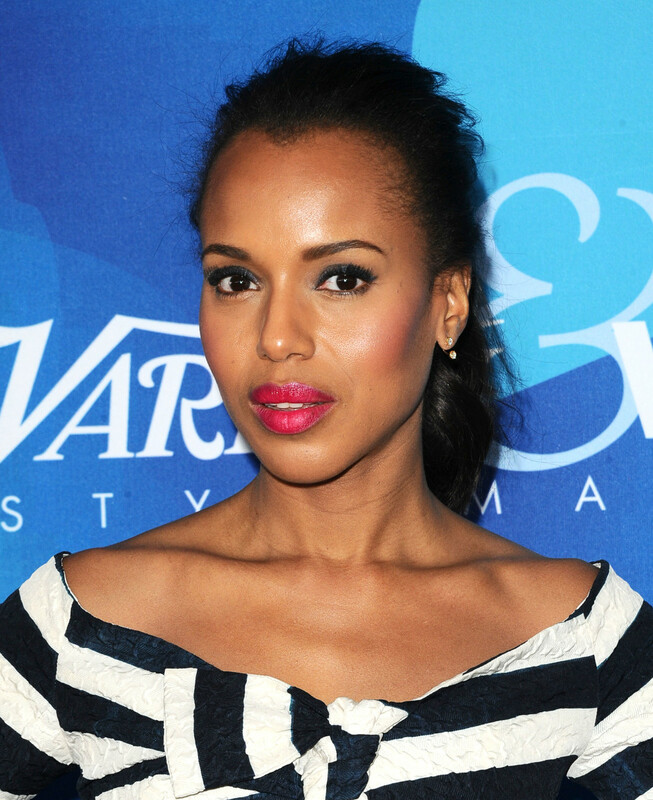 Kerry Washington at WWD and Variety&apos;s 2015 Stylemakers Event. 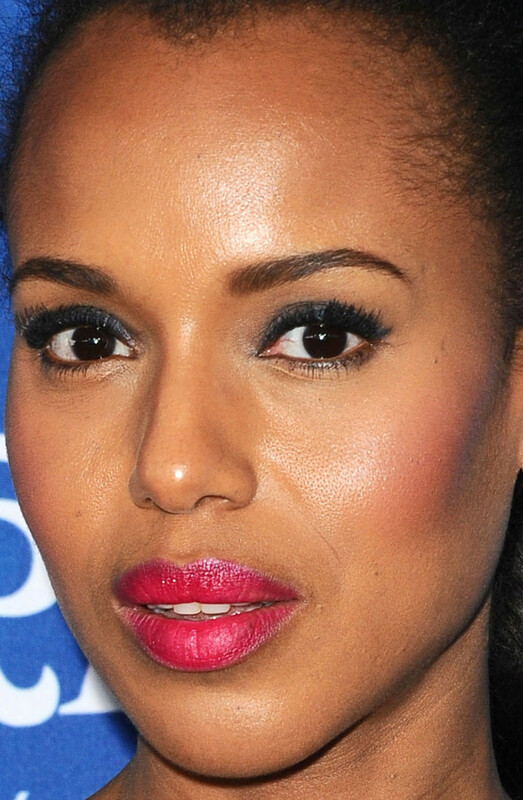 Close-up of Kerry Washington at WWD and Variety&apos;s 2015 Stylemakers Event. Kerry has a few bad beauty habits—namely, the unnatural-looking false lashes, but also the tendency to go heavy on the blush. But she is such a striking woman who wears colour SO well. I mean, look at that hot pink lipstick! Fabulous. Her skin is glowing like crazy, and she is also able to carry the grey eyeshadow up to her crease. Elizabeth Banks at the 2015 Los Angeles premiere of &apos;The Hunger Games: Mockingjay Part 2&apos;. Close-up of Elizabeth Banks at the 2015 Los Angeles premiere of &apos;The Hunger Games: Mockingjay Part 2&apos;. I don&apos;t actually mind Elizabeth&apos;s lashes here, because they are so dark and fringey–they kinda pop out and frame everything. The tawny-peachy tones on her lids, lips and cheeks suit her colouring, and I love the way her hair is styled in the deep side part. Looks like she also lightened up on the contouring, thankfully. 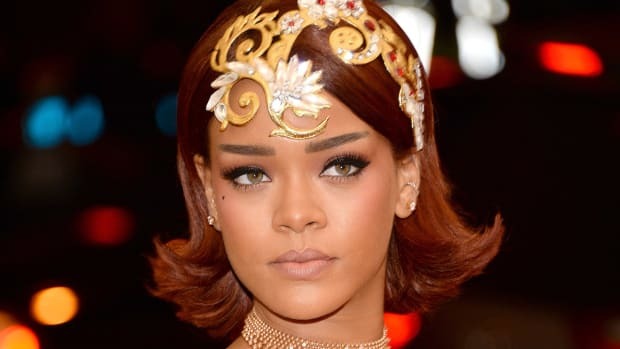 That being said, I am convinced that nobody should wear sequins near their face on the red carpet, because they do weird, unpredictable things in photos. Aubrey Plaza at the VH1 Big in 2015 With Entertainment Weekly Awards. Close-up of Aubrey Plaza at the VH1 Big in 2015 With Entertainment Weekly Awards. It&apos;s always so exciting when I can identify a person who has found her Life Cut. I do believe this bob with bangs is The One for Aubrey! (Here&apos;s what her hair looked like last time we saw her, at the Independent Spirit Awards.) Suddenly, she looks way more polished, and way more adorable. She has also softened her eyeshadow application, keeping black liner on her upper lash lines to add definition under her heavy lids. Lips and cheeks are nice and sheer. Elizabeth Henstridge at the 2015 HFPA and InStyle Golden Globes celebration. 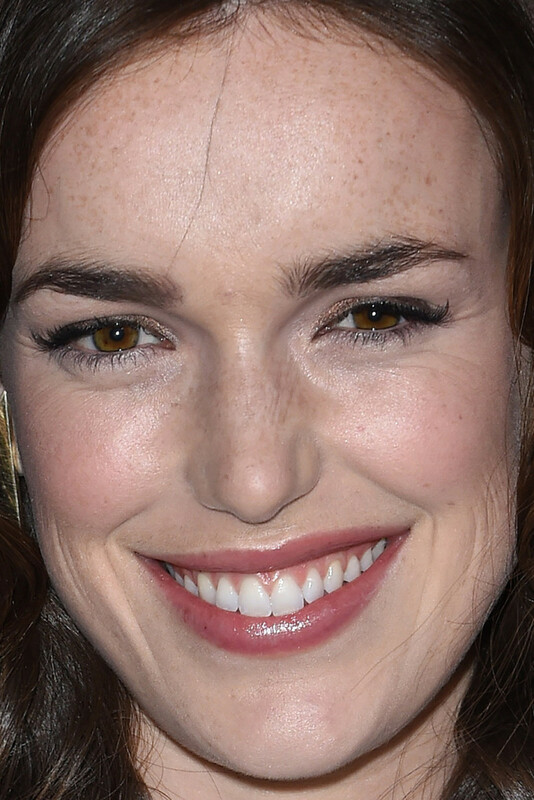 Close-up of Elizabeth Henstridge at the 2015 HFPA and InStyle Golden Globes celebration. Perhaps Elizabeth&apos;s look is a bit "every day" instead of "red carpet," but I don&apos;t mind. Whenever I see fresh skin, freckles, natural brows, seamless blush and beautiful glossy lips, I&apos;m happy. Maybe if she parted her hair in a deep side part, this would feel more dressed-up. The false lashes at her outer corners are curling weirdly, and are unnecessary. Freida Pinto at WWD and Variety&apos;s 2015 Stylemakers Event. Close-up of Freida Pinto at WWD and Variety&apos;s 2015 Stylemakers Event. Freida looks glamorous and so well-groomed. This new shorter hair length is especially good on her, and her waves look luxurious but not too "done." We&apos;ve seen red lipstick on her a million times, so I&apos;d love her to do something else—not that this isn&apos;t gorgeous! 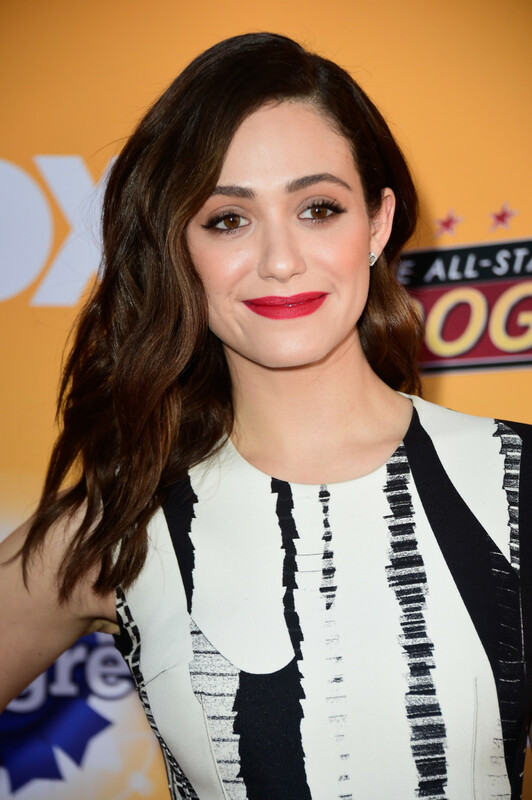 Emmy Rossum at the 2015 Fox All-Star Dog Rescue celebration. 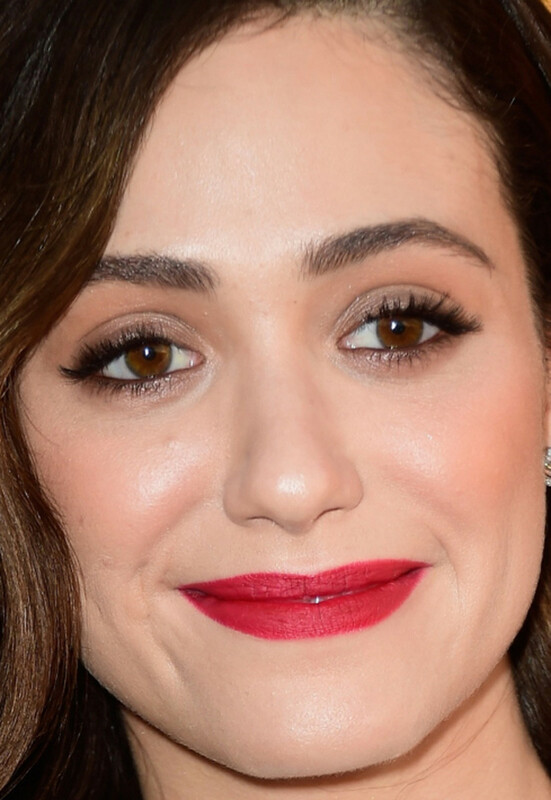 Close-up of Emmy Rossum at the 2015 Fox All-Star Dog Rescue celebration. Another red lipstick look, this time on Emmy—who paired it with thick lashes, brown waterlines and soft taupe shadow. I think it works, and is making her skin look incredibly creamy and flawless. I&apos;d love to brush out her waves just a tiny bit. Shiri Appleby at the 2015 Lupus LA Hollywood Bag Ladies Luncheon. 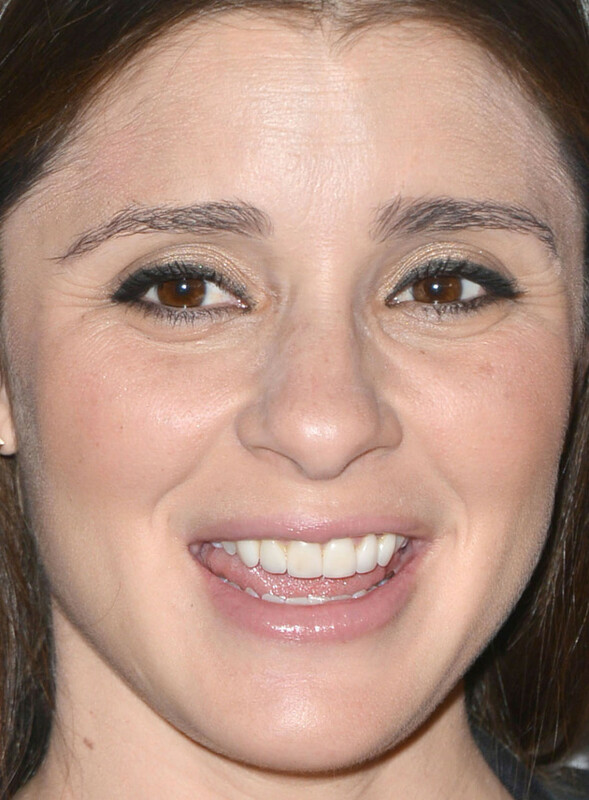 Close-up of Shiri Appleby at the 2015 Lupus LA Hollywood Bag Ladies Luncheon. I just noticed that Shiri and Emmy have a very similar eye shape. While Emmy tries to camouflage with heavier lashes and shadow, I think Shiri has learned to work with it. I actually love the way she has done this black liner in the rounded shape, without any fake lashes at all. With her natural brows, fresh skin and pretty pale pink gloss, the effect is fresh, pretty and clean. Mary Elizabeth Winstead at the 2015 HFPA and InStyle Golden Globes celebration. Close-up of Mary Elizabeth Winstead at the 2015 HFPA and InStyle Golden Globes celebration. Loving Mary&apos;s hair lately! She went for retro-inspired waves, with the ends left straight and a gorgeous swoop at the hairline. There&apos;s a nice contrast between her warm red hair and the cold bright pink of the lipstick. I also appreciate her restraint on the lashes and liner; the latter stops at the outer corners of her eyes instead of predictable flicks. I feel her skin texture looks a bit greyish, but it could be the lighting. Natalie Dormer at the 2015 Los Angeles premiere of &apos;The Hunger Games: Mockingjay Part 2&apos;. Close-up of Natalie Dormer at the 2015 Los Angeles premiere of &apos;The Hunger Games: Mockingjay Part 2&apos;. Natalie went for an ethereal beauty vibe, all swept-up hair and angelic shades on the eyelids. 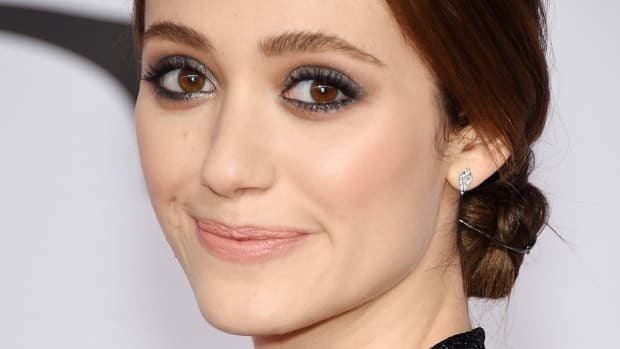 I&apos;m not into her brows so much, which are a perfect example of why I don&apos;t like brow powder—it&apos;s so obvious. But the shimmering silver-grey eye makeup is lovely with her icy blue eyes. The volume in her hair is also amazing. Halle Berry at the 2015 Revlon Love is On Million Dollar Challenge celebration. Close-up of Halle Berry at the 2015 Revlon Love is On Million Dollar Challenge celebration. I&apos;m including Halle, because if it weren&apos;t for that darn patchy white face powder, she&apos;d be a knockout! Well, I&apos;ll bet she was in person. It&apos;s just the camera flash bringing it out. Otherwise, I think this look is adorable. After years and years of that short haircut, it&apos;s a treat to see her with bangs and an updo—and a voluminous &apos;60s-inspired one at that! I also love the sheer brown gloss. 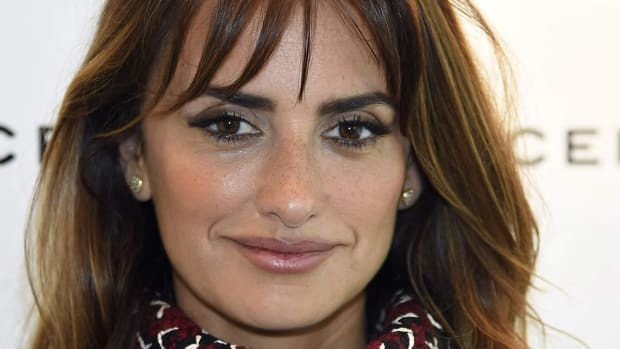 Penélope Cruz, Rooney Mara and more.